A beautiful way to highlight your objectives, and your diplomas are on the limelight! CV template to download "Influencer"
The Influencer Resume is sure to get the attention of your potential employer! This Modern CV features and eye-catching design that still holds great functionality! 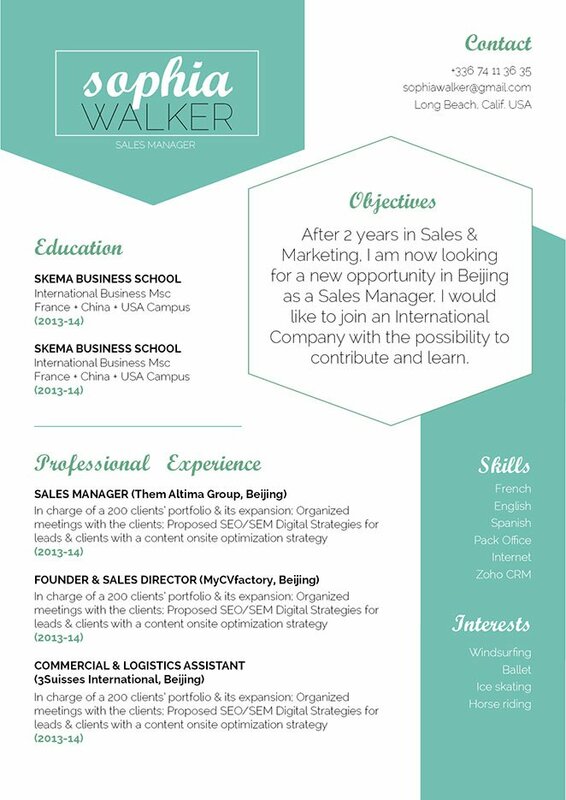 The colors green and white form a perfect balance of contrast to clearly lay out all the key content, and with a great use of shapes this resume has the perfect modern layout! Applicants who have solid set of skills and experience will benefit greatly with this CV as all the key content is clearly laid out for your recruiter. 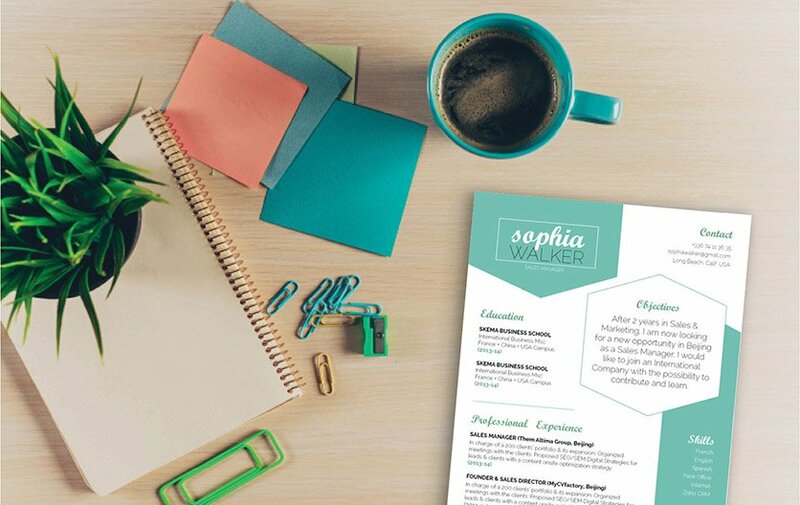 With this resume template, that dream job is sure to be yours! Give it a clear and comprehensive lay out! A good resume should have all your strengths perfectly laid out to your potential employer – skills, strengths, and experience, all of it should be written in a well-structured layout. Highlights your strengths and skills effectively. That means you should only include information that are relevant your current job search objective. Put forth the effort in determine which skills are most relevant and place them into parts of your CV that are likely to be read your potential employer. This will serve as the hook for the reader, with the rest of your CV reeling them in.